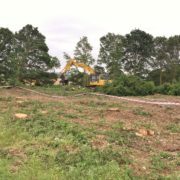 Practicality Brown worked with Whittington Heath Golf Club which required the clearance of trees and stumps to allow for reconfiguration of the golf course, as the planned route of HS2 is cutting directly through the centre of the course. 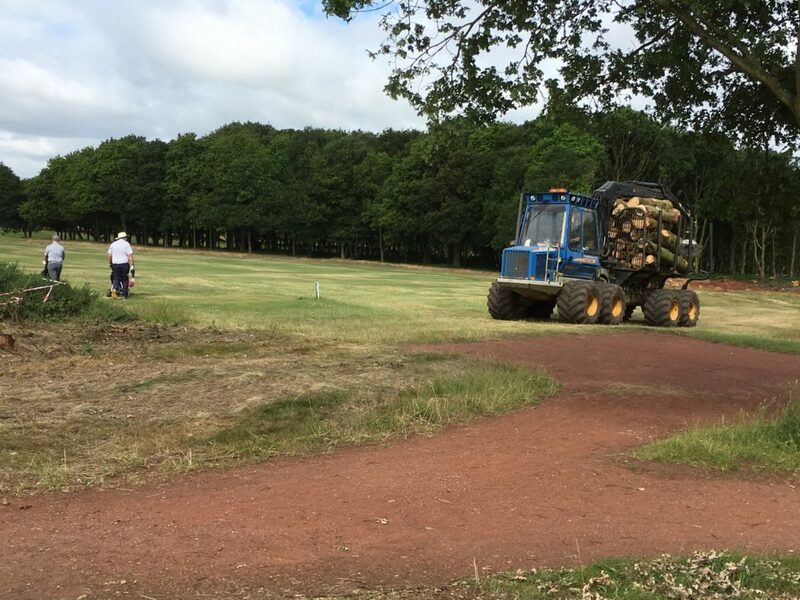 The Golf Club management team took advantage of the enforced developments to create a new, and sustainable, future for their Club including replicating the traditional heathland environment. 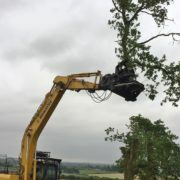 This project required clearance of over 600 semi mature to mature oak trees whilst the course remained fully open. 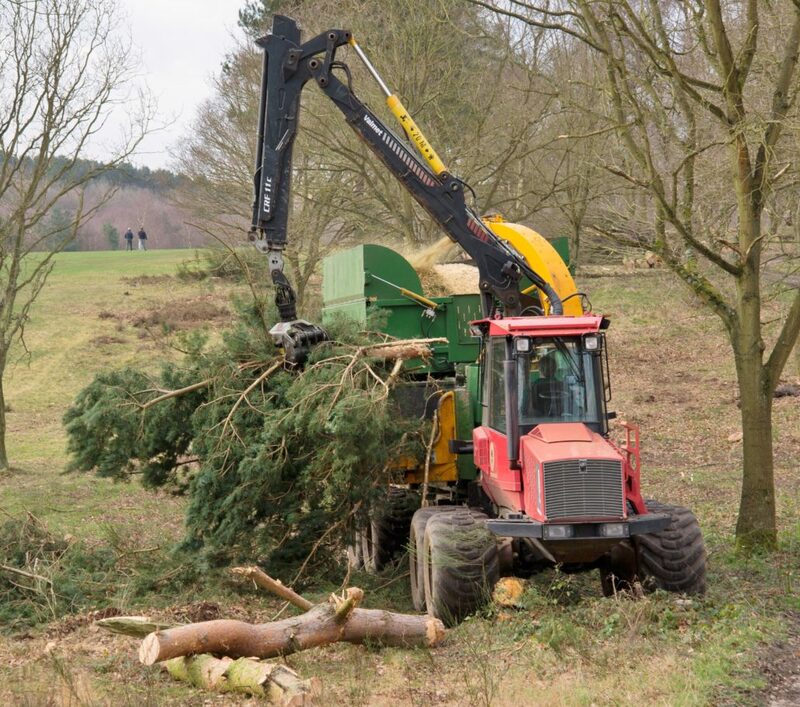 Working in close collaboration with the grounds staff, club management, their project manager and the course architect, we were able to clear all trees and stumps minimising any adverse impact on the club. 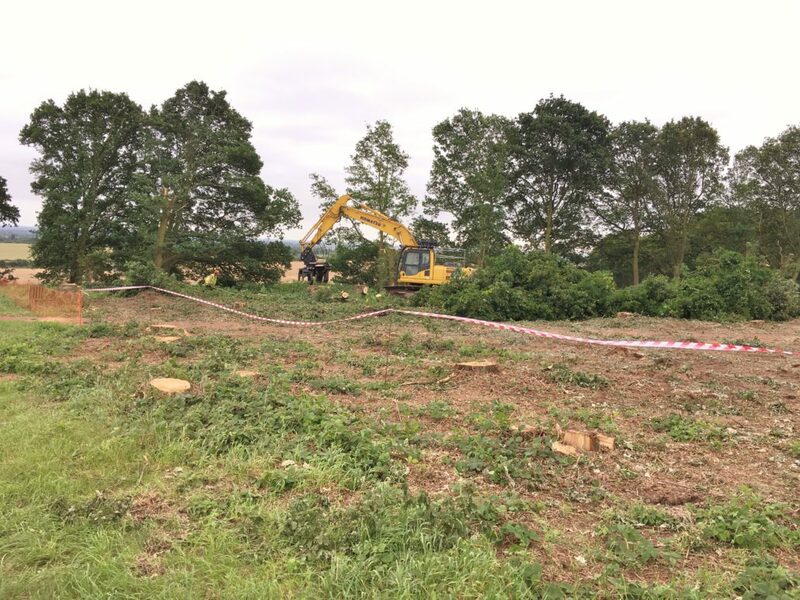 The majority of works were undertaken in the summer, within the bird nesting season and therefore all works were carried out under an ecological watching brief. Active bird’s nests were discovered, and a pragmatic approach was undertaken to protect the birds and minimise impact on the program. 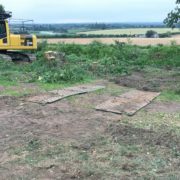 Our ecologist undertook daily inspections to determine if and when the birds had fledged; within 4 weeks all nests had been vacated and trees could be felled. Several trees had the potential to be bat roost, these were inspected by an ecological climbing team. 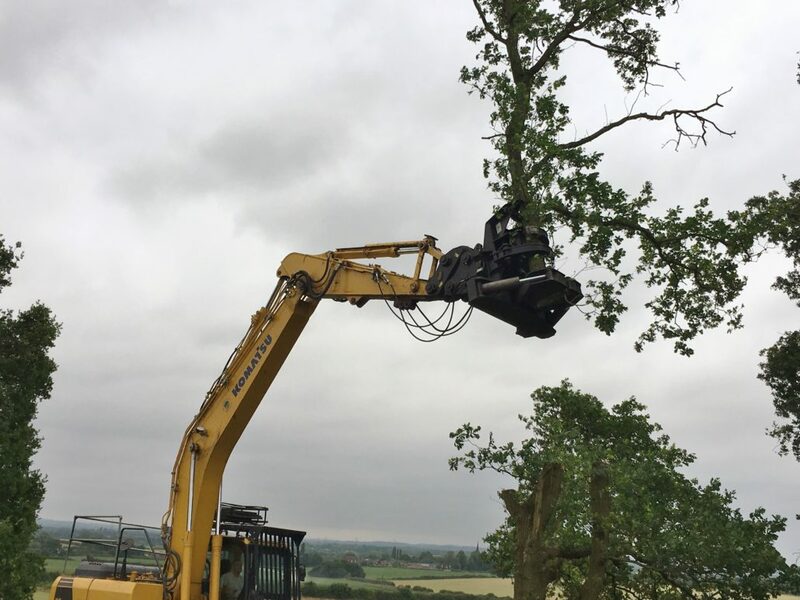 Trees were felled using a combination of 21 tonne excavator with tree shear attachment and ground working chainsaw operative. 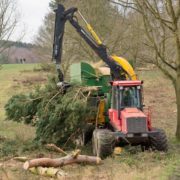 All arising debris was separated into timber suitable for sale and branch wood for chipping; all were moved to separate storage areas by our low ground impact forestry forwarder. 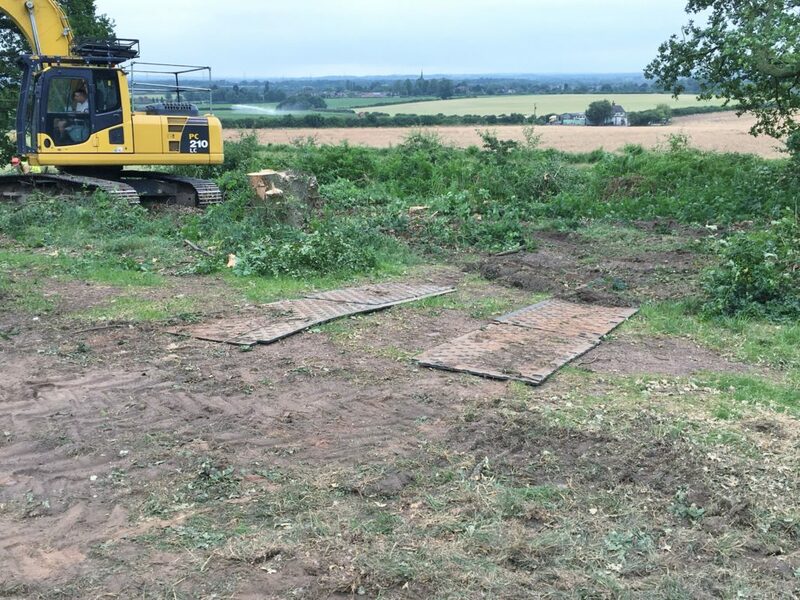 We extracted in the region of 300 tonnes of timber, which was sold within a 10 mile radius of site. Branch wood was chipped using a whole tree chipper; the chip was removed from site, screened and dried at our own facilities. The resulting high-grade chip produced is a British Standard assured product that is sold as biomass fuel. Approximately 430 tonnes or 1290m3 of wood chip was produced. 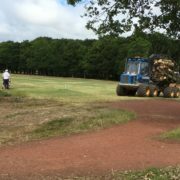 To leave a clear site for the golf course contractor, stumps were grubbed out and mulched into the topsoil leaving a tidy surface, ready for the next stage of the golf course reconfiguration.